Pigging can be an onerous task depending on the frequency of inspections and conditions of the pipeline. Some operators are required to clean lines regularly, resulting in high man power costs to execute these programs. Smart pigging can be further complicated when pipeline geometry and design need to be considered to ensure the pipeline can accept the tool. Inline leak detection – which complements existing pigging efforts – can be easily integrated within a cleaning or smart pigging program. 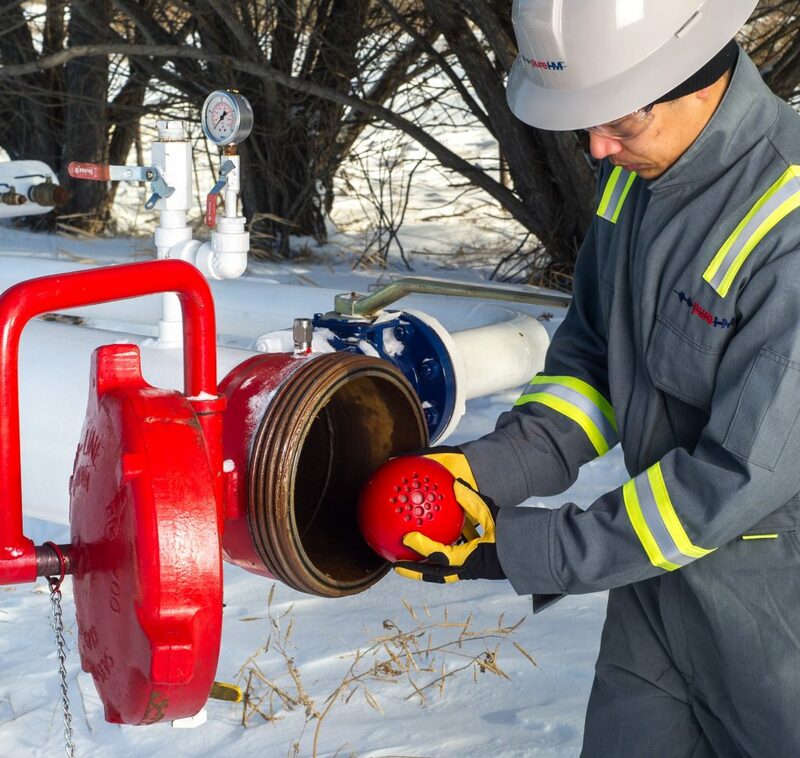 Inline leak detection tools, such as the SmartBall, are easy to deploy because they are not full bore, and only require a single technician. Because the SmartBall is so easy to deploy, an inspection can quickly be planned in conjunction with other pigging pigging efforts. This allows the operator to add an important critical piece of information to their ILI results – whether product is fully contained within the pipeline. When deployed with cleaning programs, operators only require a small gap between the cleaner and the inline leak detection tool. Both tools can be launched and received from the same facilities. In terms of smart pigging, the operator can deploy the inline tool with the pig train and gather more information that can complement the ILI results. For example, if MFL detects a wall loss of 50% or greater, the inline tool can confirm that none of the pits detected are through the pipe wall.